Twisted Tools – NI Reaktor Player Support Coming Soon! is always, "When is Twisted Tools going to make a VST or AU plugin?". Well, soon we will be able to deliver all our products to anyone with a Mac or PC, as Reaktor Player products! 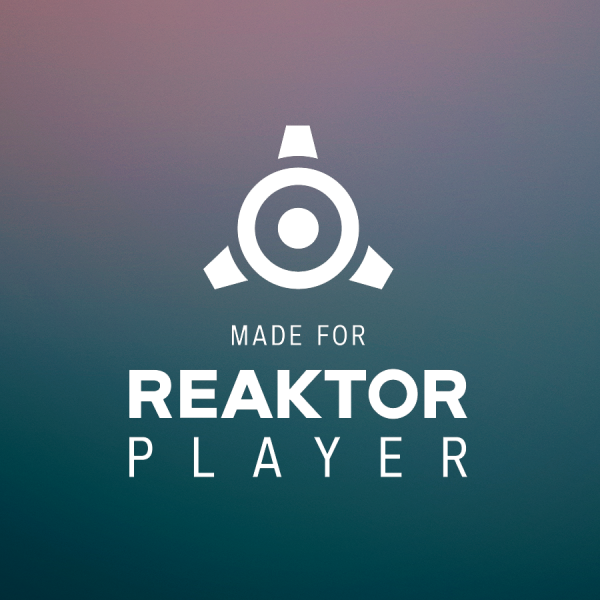 Twisted Tools is thrilled to report that Native Instruments has just announced that they are making their REAKTOR PLAYER format available to 3rd parties. This is massive news as it means that anyone can soon enjoy Twisted Tools products without having to own the full version of Native Instruments Reaktor. When will the Reaktor Player versions become available? The process to convert all our products to the Reaktor Player format and update our website to support the authorization system should be finished sometime in Q2 2019. Stay tuned and sign up to our mailing list for more info. We're happy to let you know, that all our existing customers will have the option to upgrade for FREE to the upcoming Reaktor Player formatted versions of the instruments. You will receive a free serial number from us when we officially launch the updated formatting and will be able to enjoy the latest updates for free. Which instruments are being updated to support the Player format? We are in the process of upgrading our entire suite of instruments (except for Twisted KP, which will be discontinued). Will the Player versions be locked or unlockable using EDIT mode? We've chosen, to release our existing instruments in an 'unlocked' format (EDIT MODE is on), so that users can open them up and do what they please with them. We will see how it goes and assess the potential for abuse before deciding on whether or not future instruments will be locked or unlocked. I already own Reaktor, do I need this new Reaktor Player version? We strongly encourage you to upgrade to the new Player versions when they are released as we've gone through them with a fine comb, squashed many small bugs and made various small improvements. We've also made some new presets on occasion as well! However, existing customers will not be required to switch over if you don't want to deal with the serial number system and if you do decide to switch, you will still be able to access the old version at any time. Just keep in mind, that any future updates to the instruments will be made to the Player format versions only, so it's best to get on board when the time comes! How will the new Reaktor Player versions differ from the older versions? In most cases, there is no huge difference except for the fact that Player versions don't require owning the full version of Reaktor. However, we've updated all our instruments and made minor improvements to them to get them to align with the Reaktor Player formatting standards. In some cases, there are some features, that are only available if you own the full version of Reaktor, but they are minor and rare. In other cases, we had to make some changes in order to not cause confusion for customers who don't own the full version of Reaktor. If you are an existing customer and for some reason don't wish to update you can simply continue to use the old version.